This years installment of the yearly PyPy Düsseldorf Sprint is drawing to a close. As usual, we worked in the seminar room of the programming language group at the University of Düsseldorf. The sprint was different from previous ones in that we had fewer people than usual and many actually live in Düsseldorf all the time. David spent the sprint working on the arm-backend branch, which is adding an ARM backend to the JIT. With the help of Armin he added support for bridges in the JIT and generally implemented missing operations, mostly for handling integers so far. Ronny and Anto worked the whole week trying to come up with a scheme for importing PyPy's SVN history into a mercurial repository without loosing too much information. 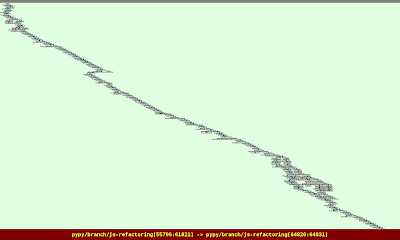 This is a non-trivial task, because PyPy's history is gnarly. We are nearly at revision 79000 and when we started using it, Subversion was at version 0.1. All possible and impossible ways to mangle and mistreat a Subversion repository have been applied to PyPy's repo, so most of the importing tools just give up. Ronny and Anto came up with a new plan and new helper scripts every day, only to then discover another corner case that they hadn't thought of. Now they might actually have a final plan (but they said that every day, so who knows?). 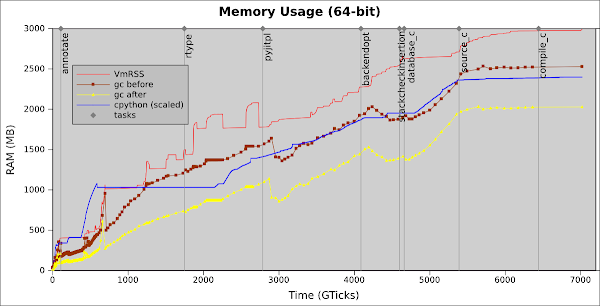 Carl Friedrich and Lukas started working in earnest on memory benchmarks to understand the memory behaviour of Python code better. 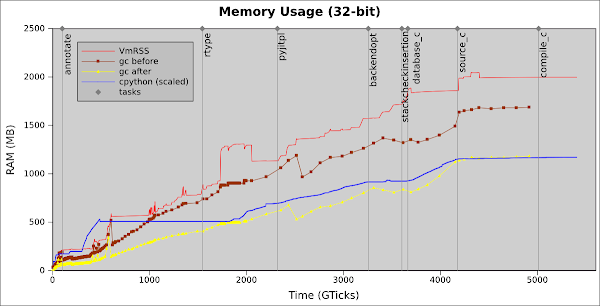 They have now implemented a generic memory benchmark runner and a simple analysis that walks all objects and collects size information about them. They also added some benchmarks that were proposed in the comments of the recent call for benchmarks. As soon as some results from that work are there, we will post about them. There were also some minor tasks performed during the sprint. Armin implemented the _bisect module and the dict.popitem method in RPython. 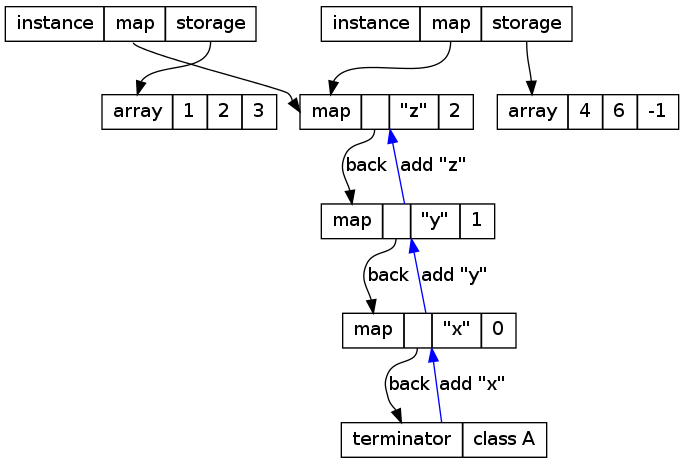 Armin and Carl Friedrich made the new memory-saving mapdict implementation more suitable to use without the JIT (blog post should come about that too, at some point). They also made classes with custom metaclasses a lot faster when the JIT is used. The last three days of the sprint were spent working on Håkan's jit-unroll-loops branch. The branch is meant to move loop invariants out of the loop, using techniques very similar to what is described in the recent post on escape analysis across loop boundaries (see? it will soon stop being science-fiction). Some of the ideas of this approach also come from LuaJIT which also uses very aggressive loop invariant code motion in its optimizers. Moving loop invariants outside of the loop is very useful, because many of the lookups that Python programs do in loops are loop invariants. An example is if you call a function in a loop: The global lookup can often be done only once. This branch fundamentally changes some of the core assumptions of the JIT, so it is a huge amount of work to make it fit with all the other parts and to adapt all tests. That work is now nearly done, some failing tests remain. The next steps are to fix them and then do additional tests with the translated executable and look at the benchmarks. No, we are not going to talk about the environment (i.e., the set of variables as printed by /usr/bin/env. What else? :-)). As usual, the full buildbot results can be seen from the summary page. few months ago I finished the PhD studies and now my thesis is available, just in case someone does not have anything better to do than read it :-). The title of the thesis is High performance implementation of Python for CLI/.NET with JIT compiler generation for dynamic languages, and its mainly based on my work on the CLI backend for the PyPy JIT (note that the CLI JIT backend is currently broken on trunk, but it's still working in the cli-jit branch). The thesis might be useful also for people that are not directly interested in the CLI JIT backend, as it also contains general information about the inner workings of PyPy which are independent from the backend: in particular, chapters 5 and 6 explain how the JIT frontend works. The next PyPy sprint is scheduled for the end of the month, from the 25th to the 31st of October 2010. It will be done at the university of Düsseldorf, Germany, where three of us are working. This year we had a record of two and a half applications (one was on a cross section of PyPy and numpy) accepted for the Google SoC program. Since it ended a couple of weeks ago, we wanted to present the results that were achieved. All three projects were completed successfully, although the rate of success varied quite a bit. 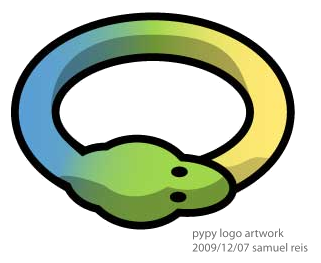 The Numpy proposal progress significantly on making numpy compatible with PyPy's CPython's extension module support, but failed to bring PyPy's numpy implementation into a usable shape (which is a somewhat ambitious goal, one might argue). The experiments done during the projects are living on the micronumpy branch. 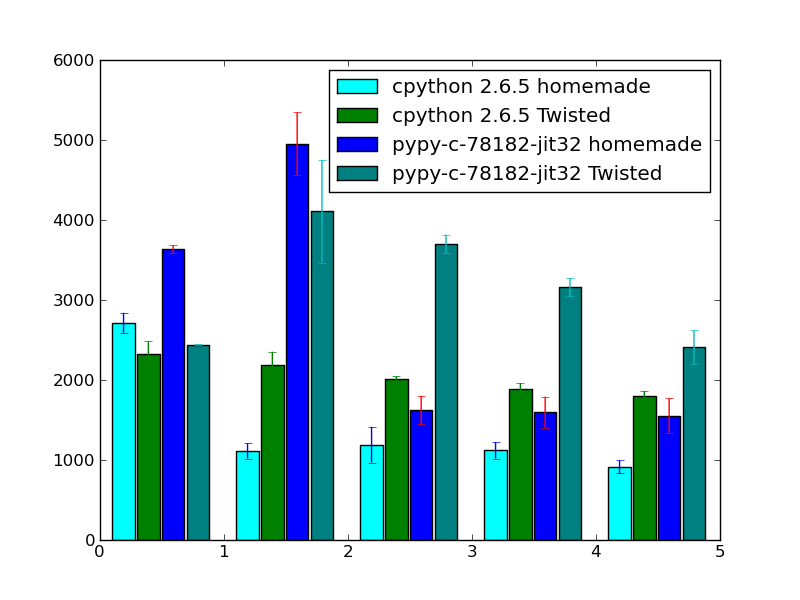 The Fast ctypes proposal did some useful experiments on how to JIT external calls from PyPy to C, however, the actual code as of now is not very interesting and it's quite far from providing a full ctypes replacement (or equivalent). This blog post is a successor to the one about escape analysis in PyPy's JIT. The examples from there will be continued here. This post is a bit science-fictiony. The algorithm that PyPy currently uses is significantly more complex and much harder than the one that is described here. The resulting behaviour is very similar, however, so we will use the simpler version (and we might switch to that at some point in the actual implementation). In the last blog post we described how escape analysis can be used to remove many of the allocations of short-lived objects and many of the type dispatches that are present in a non-optimized trace. In this post we will improve the optimization to also handle more cases. The figure shows a trace before optimization, together with the lifetime of various kinds of objects created in the trace. It is executed from top to bottom. 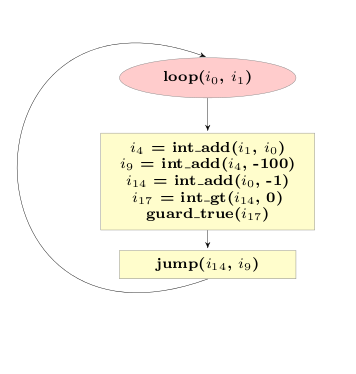 At the bottom, a jump is used to execute the same loop another time. For clarity, the figure shows two iterations of the loop. The loop is executed until one of the guards in the trace fails, and the execution is aborted. Some of the operations within this trace are new operations, which each create a new instance of some class. These instances are used for a while, e.g. by calling methods on them, reading and writing their fields. Some of these instances escape, which means that they are stored in some globally accessible place or are passed into a function. Together with the new operations, the figure shows the lifetimes of the created objects. Objects in category 1 live for a while, and are then just not used any more. The creation of these objects is removed by the optimization described in the last blog post. Objects in category 2 live for a while and then escape. The optimization of the last post deals with them too: the new that creates them and the field accesses are deferred, until the point where the object escapes. The objects in category 3 and 4 are in principle like the objects in category 1 and 2. They are created, live for a while, but are then passed as an argument to the jump operation. In the next iteration they can either die (category 3) or escape (category 4). The optimization of the last post considered the passing of an object along a jump to be equivalent to escaping. It was thus treating objects in category 3 and 4 like those in category 2. The improved optimization described in this post will make it possible to deal better with objects in category 3 and 4. This will have two consequences: on the one hand, more allocations are removed from the trace (which is clearly good). As a side-effect of this, the traces will also be type-specialized. The two new BoxedIntegers stored in p15 and p10 are passed into the next iteration of the loop. The next iteration will check that they are indeed BoxedIntegers, read their intval fields and then not use them any more. Thus those instances are in category 3. In its current state the loop allocates two BoxedIntegers at the end of every iteration, that then die very quickly in the next iteration. In addition, the type checks at the start of the loop are superfluous, at least after the first iteration. The reason why we cannot optimize the remaining allocations away is because their lifetime crosses the jump. To improve the situation, a little trick is needed. The trace above represents a loop, i.e. the jump at the end jumps to the beginning. Where in the loop the jump occurs is arbitrary, since the loop can only be left via failing guards anyway. Therefore it does not change the semantics of the loop to put the jump at another point into the trace and we can move the jump operation just above the allocation of the objects that appear in the current jump. This needs some care, because the arguments to jump are all currently live variables, thus they need to be adapted. This result is now really good. The code performs the same operations than the original code, but using direct CPU arithmetic and no boxing, as opposed to the original version which used dynamic dispatching and boxing. Looking at the final trace it is also completely clear that specialization has happened. 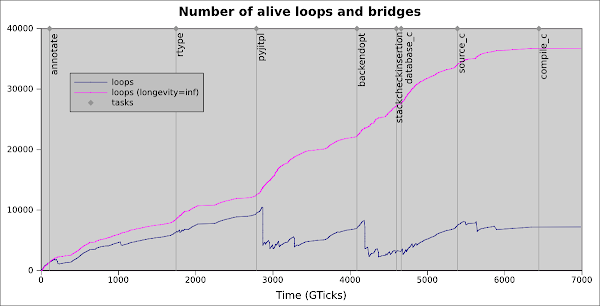 The trace corresponds to the situation in which the trace was originally recorded, which happened to be a loop where BoxedIntegers were used. The now resulting loop does not refer to the BoxedInteger class at all any more, but it still has the same behaviour. If the original loop had used BoxedFloats, the final loop would use float_* operations everywhere instead (or even be very different, if the object model had user-defined classes). The approach of placing the jump at some other point in the loop leads to one additional complication that we glossed over so far. The beginning of the original loop corresponds to a point in the original program, namely the while loop in the function f from the last post. Now recall that in a VM that uses a tracing JIT, all programs start by being interpreted. This means that when f is executed by the interpreter, it is easy to go from the interpreter to the first version of the compiled loop. After the jump is moved and the escape analysis optimization is applied a second time, this is no longer easily possible. In particular, the new loop expects two integers as input arguments, while the old one expected two instances. The optimization described in this post can be used to optimize away allocations in category 3 and improve allocations in category 4, by deferring them until they are no longer avoidable. A side-effect of these optimizations is also that the optimized loops are specialized for the types of the variables that are used inside them. The goal of a just-in-time compiler for a dynamic language is obviously to improve the speed of the language over an implementation of the language that uses interpretation. The first goal of a JIT is thus to remove the interpretation overhead, i.e. 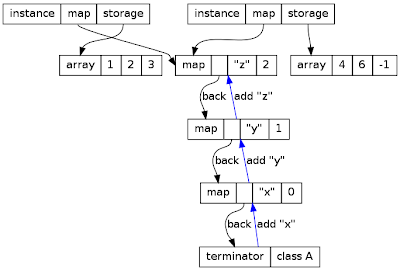 the overhead of bytecode (or AST) dispatch and the overhead of the interpreter's data structures, such as operand stack etc. The second important problem that any JIT for a dynamic language needs to solve is how to deal with the overhead of boxing of primitive types and of type dispatching. Those are problems that are usually not present in statically typed languages. Boxing of primitive types means that dynamic languages need to be able to handle all objects, even integers, floats, etc. in the same way as user-defined instances. Thus those primitive types are usually boxed, i.e. a small heap-structure is allocated for them, that contains the actual value. Type dispatching is the process of finding the concrete implementation that is applicable to the objects at hand when doing a generic operation at hand. An example would be the addition of two objects: The addition needs to check what the concrete objects are that should be added are, and choose the implementation that is fitting for them. 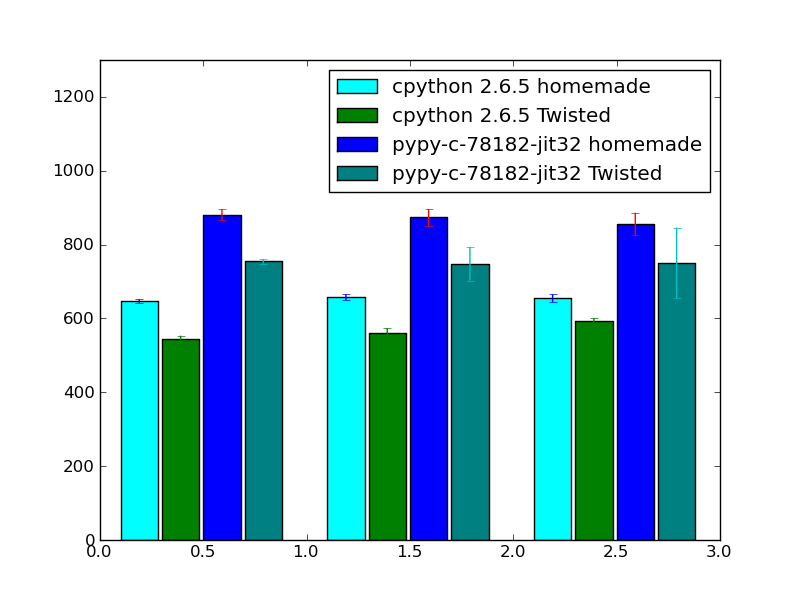 Last year, we wrote a blog post and a paper about how PyPy's meta-JIT approach works. These explain how the meta-tracing JIT can remove the overhead of bytecode dispatch. In this post (and probably a followup) we want to explain how the traces that are produced by our meta-tracing JIT are then optimized to also remove some of the overhead more closely associated to dynamic languages, such as boxing overhead and type dispatching. The most important technique to achieve this is a form of escape analysis that we call virtual objects. This is best explained via an example. For the purpose of this blog post, we are going to use a very simple object model, that just supports an integer and a float type. The objects support only two operations, add, which adds two objects (promoting ints to floats in a mixed addition) and is_positive, which returns whether the number is greater than zero. The implementation of add uses classical Smalltalk-like double-dispatching. These classes could be part of the implementation of a very simple interpreter written in RPython.
""" add self to other """
""" add intother to self, where intother is a Python integer """
""" add floatother to self, where floatother is a Python float """
""" returns whether self is positive """
Using these classes to implement arithmetic shows the basic problem that a dynamic language implementation has. All the numbers are instances of either BoxedInteger or BoxedFloat, thus they consume space on the heap. Performing many arithmetic operations produces lots of garbage quickly, thus putting pressure on the garbage collector. Using double dispatching to implement the numeric tower needs two method calls per arithmetic operation, which is costly due to the method dispatch. (indentation corresponds to the stack level of the traced functions). The trace is inefficient for a couple of reasons. One problem is that it checks repeatedly and redundantly for the class of the objects around, using a guard_class instruction. 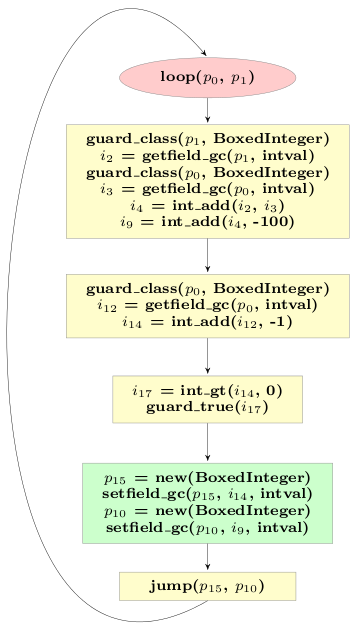 In addition, some new BoxedInteger instances are constructed using the new operation, only to be used once and then forgotten a bit later. In the next section, we will see how this can be improved upon, using escape analysis. The main insight to improve the code shown in the last section is that some of the objects created in the trace using a new operation don't survive very long and are collected by the garbage collector soon after their allocation. Moreover, they are used only inside the loop, thus we can easily prove that nobody else in the program stores a reference to them. The idea for improving the code is thus to analyze which objects never escape the loop and may thus not be allocated at all. This process is called escape analysis. The escape analysis of our tracing JIT works by using virtual objects: The trace is walked from beginning to end and whenever a new operation is seen, the operation is removed and a virtual object is constructed. 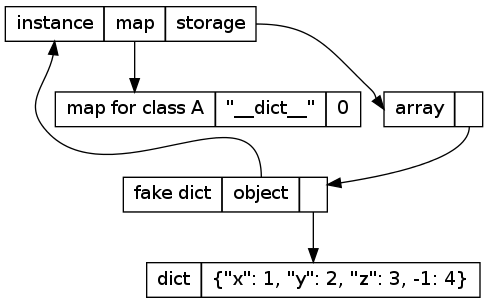 The virtual object summarizes the shape of the object that is allocated at this position in the original trace, and is used by the escape analysis to improve the trace. The shape describes where the values that would be stored in the fields of the allocated objects come from. Whenever the optimizer sees a setfield that writes into a virtual object, that shape summary is thus updated and the operation can be removed. When the optimizer encounters a getfield from a virtual, the result is read from the virtual object, and the operation is also removed. The virtual object stored in p5 would know that it is an BoxedInteger, and that the intval field contains i4, the one stored in p6 would know that its intval field contains the constant -100. 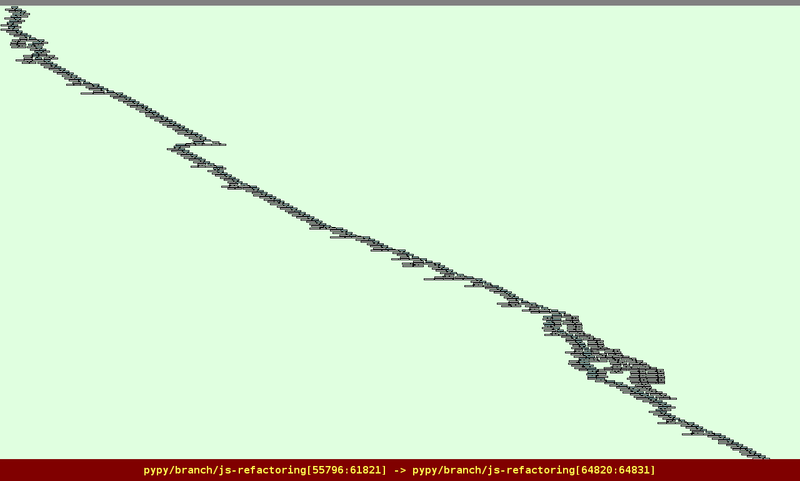 The rest of the trace is optimized similarly. So far we have only described what happens when virtual objects are used in operations that read and write their fields. When the virtual object is used in any other operation, it cannot stay virtual. For example, when a virtual object is stored in a globally accessible place, the object needs to actually be allocated, as it will live longer than one iteration of the loop. Note how the operations for creating these two instances has been moved down the trace. It looks like for these operations we actually didn't win much, because the objects are still allocated at the end. However, the optimization was still worthwhile even in this case, because some operations that have been performed on the forced virtual objects have been removed (some getfield_gc operations and guard_class operations). 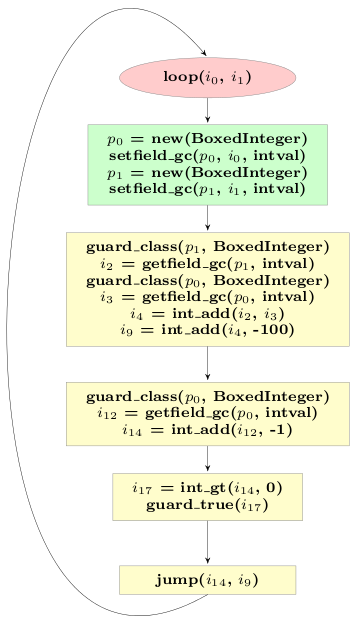 The optimized trace contains only two allocations, instead of the original five, and only three guard_class operations, from the original seven. 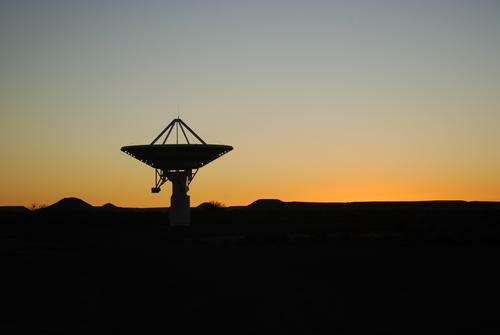 In this blog post we described how simple escape analysis within the scope of one loop works. This optimizations reduces the allocation of many intermediate data structures that become garbage quickly in an interpreter. It also removes a lot of the type dispatching overhead. In a later post, we will explain how this optimization can be improved further. the videos of the talks from EuroPython 2010 are now available on blip.tv: in particular, there are the three videos of the PyPy talk. As you know, a lot of PyPy's recent development effort has gone into speeding up execution of Python programs. However, an additional good property of PyPy's Python interpreter is that most objects are represented in a much more compact way than in CPython. 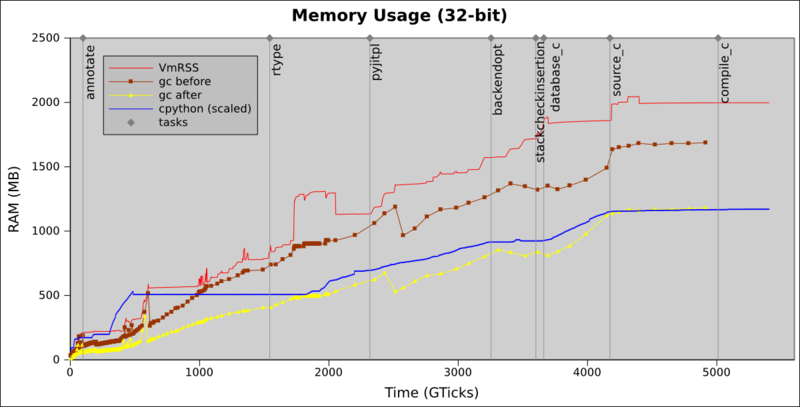 We would like to investigate some more advanced techniques to reduce the memory usage of Python programs further. To do this it is necessary to investigate the memory behaviour of real programs with large heaps. For speed measurements there are standard benchmarks, but for memory improvements there is nothing comparable, the memory behaviour of large programs is not that well understood. 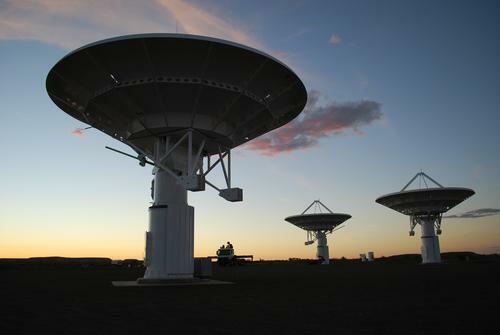 Therefore we are looking for programs that we can study and use as benchmarks. ideally pure-Python programs that don't use extension modules so that they run under both CPython and PyPy (this is optional, but makes my life much easier). We are also rather interested in programs that do a lot of string/unicode processing. We would be grateful for all ideas. Telling us about a program also has the advantage that we will work on optimizing PyPy for it :-). This weekend I delivered a talk at PyOhio (an annual conference in Columbus, OH, USA) on PyPy and Unladen Swallow. The talk covered reasons that Python, the language, is hard to optimize, why CPython is slow, and a few optimizations that PyPy and Unladen Swallow have implemented. The slides from my talk are online, and the talk was recorded so a video will follow. I gave a similar talk to ChiPy (the Chicago Python user group), which was also recorded and the video is available. Both audiences were excited about the futures for PyPy and Unladen Swallow, and for the future of a faster Python. Thanks to the work that was recently done on the sys-prefix branch, it is now possible to use virtualenv with PyPy. a copy of virtualenv-pypy: this is a fork of virtualenv that contains all the patches needed to work with PyPy, and hopefully will be merged back at some point. It should be totally compatible with the official version of virtualenv, so it is safe to use it even to create non-PyPy environments. If you notice some weird behavior that does not happen with the standard virtualenv, please let us know. Once the environment has been created, you can enter it as usual. Note that bin/python is now a symlink to bin/pypy.